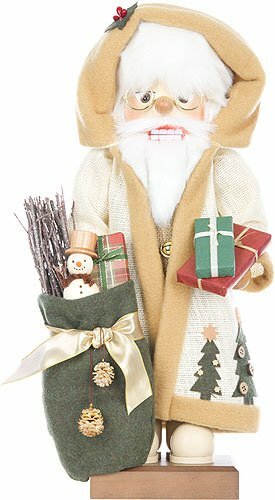 Christian Ulbricht Nutcracker - Nordic Santa. This Nordic Santa has a tan jacket and hood to keep him warm. He bears gifts along with a bundle of sticks and a miniature snowman.